So, there is no Genesis reunion going on here, and, as much as I like Phil Collins, I don’t have any good news on what he is up to, because I watched that performance on the US Open, and as much as I think the whole roof opening thing in time with the song is cool, it is isn’t relevant here. Confused? Watch this, because I love this song, but I have no idea how this relates to tennis. Otherwise, I decided that it time for an update on life in the band…..
We have a new label in Progressive Gears! This isn’t probably as important to you guys as it is to us, mainly because it’s the support Eugene gives us, that makes certain things possible, so show some love and follow him on the relevant social media for other, equally important updates! So, we have something new on the horizon, I’ll start there. 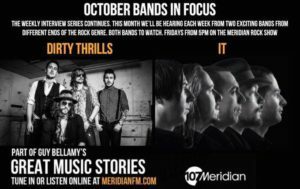 Friday 23rd (5pm onwards) we are being played on Meridian FM, and most importantly the Guy Bellamy Rockshow. 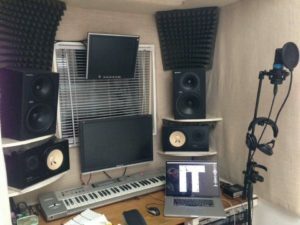 That’s cool for a number of reasons, first and foremost, a band like us will always be grateful for airplay, it is prime time radio, and secondly, its right before Guy’s interview with Marillion about F.E.A.R, which frankly Nick is shitting himself about. In case you haven’t heard The New Kings track, you probably should, it’s excellent. Of course it is also leading to something big, and this is why keeping your ear to the ground is important. Guy will also being doing a months worth of features on the band throughout October leading up to some major news! Please keep close to us for announcements in the next few weeks, because the new album is so close you can almost smell it. We haven’t been one to rush ourselves, in fact we are trying to rival Tool for slowest release ever, they might actually beat us too, which will be quite an achievement, but it’s almost here, and the grey hairs are taking over as we set ourselves utterly stupid deadlines to have things done, but that’s OK, because a band is like a second marriage, and stupidity becomes second nature to art. Over the coming 6 weeks, we will be releasing details of the new release, including the title, bits of artwork, and the pre-order offers to you lovely people, to whom this is actually impossible to do without your support. So in the mean time, we thank you for your patience, and hope to be giving yo some far more interesting updates soon! In the mean time, be sure to check out Guy, and the guys over at Meridian FM this coming friday for some new music, and a great show!